This week the PurseBlog team is itching to add a few new pieces to our spring wardrobes. 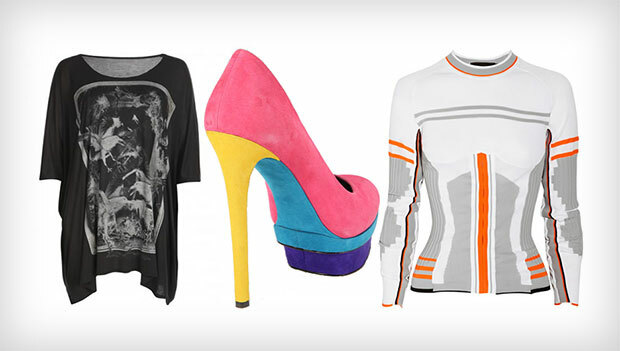 Whether it be a seriously comfy All Saints graphic t-shirt or a pair of in-your-face colorblocked platform pumps, we all have a little something we want this week. So click below to see what Amanda, Hilary and I are coveting! Brian Atwood won over the hearts (and feet) of women worldwide and decided to expand his empire into the contemporary world (and price point, thankfully) with his B Brian Atwood line. Seriously, I am not sure what more I can say other than the fact that I am obsessed with these shoes. 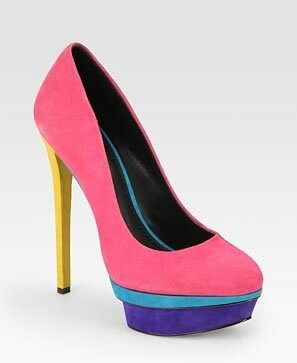 Bright pink, blue, and yellow colorblocked together on these platform pumps is just what my spring shoe wardrobe calls for. Great comfort, great style, and a really reasonable price can’t be beat! To be clear, this sweater has absolutely naught to do with anything else in my wardrobe. I have a decent bit of Wang, and I have sweaters, of course, but this Formula-1-by-way-of-Isabel-Marant pattern and structure stand out on their own from anything else I might be tempted to wear on a day-to-day basis. I’m somewhat large-chested, by fashion standards, so I don’t even think that this top would fit me properly. And still, somehow, I’m totally digging it. To counteract the slim, sporty feel, I’d pair it with a very full black skirt – above-the-knee or maxi? I’m not sure. 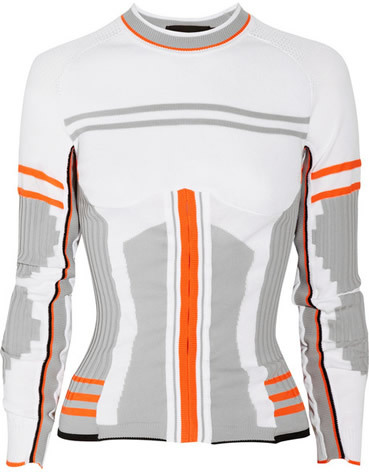 Either way, Alexander Wang has yet again made me aware of a gap in my wardrobe that desperately needs filling. With the weather warming up, all I want are some long, cozy, ultra soft tees that I can layer over leggings and pair with my beloved Rag & Bone moto boots. 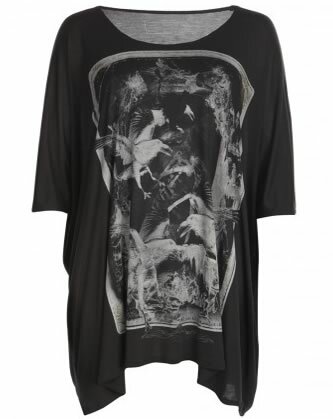 All Saints tees fit the bill – edgy, soft and the perfect amount of drapey-ness. I am obsessed with the graphic on this one – it has gold foil detail. Such an easy look for early spring!